Our annual outdoor overnight to Monte Toyon will be May 10-11, 2018. 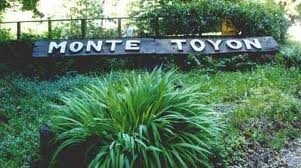 Monte Toyon is located in the setting of the redwood forest in Aptos. The camp provides 4 meals, cabins with bunks and a dorm with individual rooms. For those who want a more natural camping experience areas are available for pitching a tent. There is ping pong, basketball, a recreation hall (in case of rain), an amphitheater to try out your talents, a large grassy playing field and campfire circles for group activities, and hiking trails for the more adventuresome. This trip provides an opportunity for our families and students to come together in the great outdoors and enjoy a fun-filled two days and one night for an all-around camping experience.